Here is the 9th review of my book, Built for Change. This one comes from the United States. Since the book was written with a focus on stories of change from New Zealand and Australia, to have such a positive review from a third country is wonderful. For lay and clergy leaders looking to rediscover relevancy for the North American church, practical hope comes from down under. Unassuming, penetrating, pragmatic and humble, Steve Taylor has given us a place to start in “doing church differently,” not for the sake of being different, but for the sake of meaning, for ourselves and others. Accessible, fresh and above all honest, Taylor has expressed in appropriate balance the realities of change, innovation, collaboration and learning so necessary to make sense in this world, a sense-making enabled by biblical wisdom woven with insights from his own direct experience. There is wisdom here–understanding, not “overspending”–not only for congregational and individual renewal, but for an even broader audience too often seduced by the noise of leadership theory. This is pure signal amidst all the noise. This little book holds a voice you can trust if you are trying to make sense of change, especially if you are wise enough to try to make sense in collaboration with others. Thank you Dr. Taylor for sharing your experience, taking the time and care to reflect upon it, and offering it up to us all. 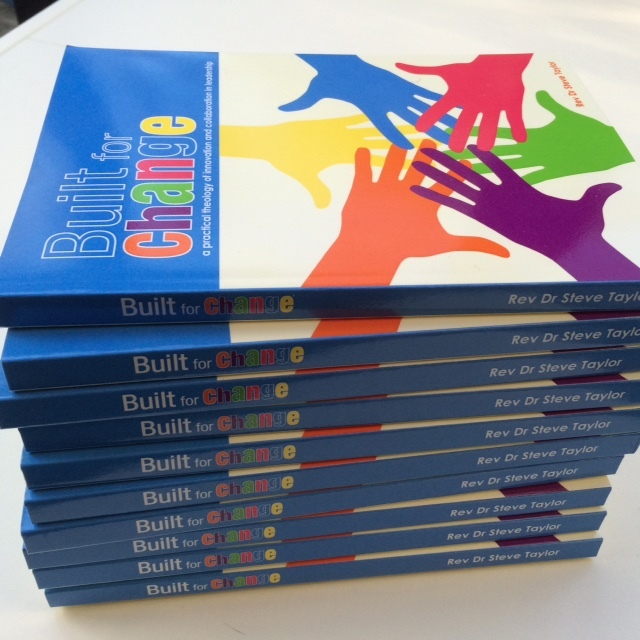 “Built for Change” by Rev Dr Steve Taylor is available in Australia through MediaCom Education Inc. or New Zealand through Angelwingsresources@gmail.com. 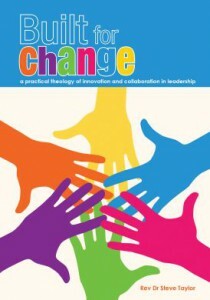 It is also available on Amazon Built for change: A practical theology of innovation and collaboration . Review 1 here. Review 2 here. Review 3 here. Review 4 is here. Review 5 is here. Review 6 is here. Review 7 by Darren Cronshaw is here. Review 8 by Uniting Church Moderator, Sue Ellis, is here. Here is the 8th review of my book, Built for Change. This one is by Rev Sue Ellis, the current Moderator of the Uniting Church of South Australia. It’s also the first review from the South Australian church community where many of the practical stories in Built for Change took place. So it’s an important authenticity check. I really liked the way Steve Taylor addressed the changing dimensions of church life in this interesting volume. As a ministry agent involved with growing the church into its new era of life for today’s world, he has picked up the duality of change that goes outward into church life and community and the change that needs to journey inwardly challenging my own beliefs and practices both individually and corporately. Steve explores some Pauline descriptors of models for change. We need to apply different models for different situations. I identified with his descriptors of at times bring a builder or a servant; a gardener or a parent; a resource manager or fool. I could remember how change I had engaged in had me preferring one of these roles. Living in South Australia, I had seen some of the journeys he described in the Uniting Church. Hence, I was on familiar ground. The book is well grounded in practical application, but it does need some navigating. Beginning at the end was an initial challenge. I used the book for my ‘breakfast read’ – intentionally digesting its offering for each day. It is a volume I will keep for ready reference, as I believe strongly in the need for creative innovation within western churches. “Built for Change” by Rev Dr Steve Taylor is available in Australia through MediaCom Education Inc. or New Zealand through Angelwingsresources@gmail.com. Review 1 here. Review 2 here. Review 3 here. Review 4 is here. Review 5 is here. Review 6 is here. Review 7 by Darren Cronshaw is here. “Built for Change is an important book for us as a Board, charged with resourcing mission nationally. It provides theological thinking and practice around change and makes a valuable contribution to our conversation as a Board. “Built for Change” by Rev Dr Steve Taylor is available in Australia through MediaCom Education Inc. or New Zealand through Angelwingsresources@gmail.com. Review 1 here. Review 2 here. Review 3 here. Review 4 is here. Review 5 is here. Here is a fifth review of Built for Change. This one is by Duncan Macleod. 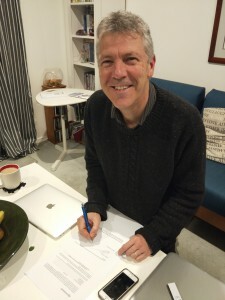 Duncan is Director of the Uniting Learning Network with the Uniting Church in Australia. He is also editor of The Inspiration Room, a website focused on creative work from around globe. Two things I appreciate about this review. First, the evaluation of the second section, Leading Deeply as offering “a really helpful reflection” on a theology of leadership and innovation, particularly for the mainline denomination in which Duncan serves. Second, my approach in the third section, Leading Inward as being inspired/ing. Duncan reads my highly personalised approach as an invitation – “Rather than comparing myself with my colleagues, I need to grasp the particular contribution God is developing in me in relationship with my peers.” My highly individualised approach becomes “a great way to finish … inspire and inform … without prescribing or limiting.” It felt risky and vulnerable writing the way I did and its a relief to have Duncan’s feedback on how this approach inspires. Here is the review in full: thanks Duncan. Steve’s first section, Leading Outward, introduces six images of leadership as found in Paul’s self descriptions in 1 Corinthians 3 and 4: a servant who listens, a resource manager who faces reality, a builder who structures collaborative processes, a fool who jumps out of boxes and plays, and a parent who parents. Steve tells the stories of three innovative projects made possible through collaborative leadership: Glenkirk Cafe in Malvern, Wayside Chapel in Kings Cross, Sydney, and the Illustrated Gospel Project, a worship resource curated by Malcolm Gordon. He goes on to explore Lewin’s force field, experimentation, the change curve, and the importance of tacking. The second section, Leading Deeply, delves into a theology of leadership, drawing insight from the ministry of Jesus and exploring the healthy tension between Biblical frameworks and contemporary insights into collaborative leadership. This is a really helpful reflection for the Uniting Church, which in many ways has its roots in movements that were highly suspicious of any one person having too much influence. It’s not that long ago that focusing on transformation, leadership and missional challenge were seen by some as the latest heresy. Steve’s contribution to the conversation helps us recognise some of our own biases and come more lightly to a considered theological reflection on leadership and innovation. The third section, Leading Inward, provides insights into Steve’s own exploration of collaborative leadership and innovation, including lessons learnt and practices honed. This, perhaps, is the section that inspired me the most. Steve has run a series of C words in this section: call, colour, connection, community. Working in a very similar role to Steve, I resonated with his reflections on the importance of call. “What is in your hand? What among your gifts, talents and experience is of value to the organisations to which you contribute?” Having just gone through my annual vitality of ministry review this week, it’s a pertinent question. Rather than comparing myself with my colleagues, I need to grasp the particular contribution God is developing in me in relationship with my peers. I gathered inspiration for practical daily and weekly disciplines as I read through the way Steve manages to achieve what he does. Steve finishes with a chapter on reflective leadership, focusing on four tools: journaling, the leading of meetings, breath prayer and the art of asking the question, “What could I do differently”. That last question is a great way to finish, helping us as readers to recognise Steve’s pattern of work and life as his particular journey of learning, which can inspire and inform our own without prescribing or limiting. Review 1 here. Review 2 here. Review 3 here. Review 4 is here. Here is another review of Built for Change, this one by my mother-in-law. During the past month I had more time than usual for reading and I found Steve Taylor’s new book very interesting. “Built for Change” is, as it says, “a practical theology of innovation and collaboration in leadership.” The words “Collaboration in leadership” grabbed me because I don’t see “collaborating” as something Christians always find easy to do. It seems easy to be excited by something we believe God is saying to us individually but often much harder to really listen to others and work together. Quoting from 1 Corinthians, Chapters 3 and 4, Steve describes Paul’s leadership as combining the attributes of servant, gardener, builder, resource manager, fool and parent. I wondered how exercising those attributes could be a key to making collaboration and innovation successful and I was encouraged to read on. Steve describes how he has used Paul’s ministry as a model for building team leadership over the past few years in Australia and now in Otago. What he has to say makes good sense and his book is full of rich and innovative ideas. Review 1 here. Review 2 here. Review 3 here. It’s been a fascinating few days in Korea. 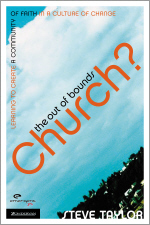 In 2005, I published my first book, The Out of Bounds Church? : Learning to Create a Community of Faith in a Culture of Change (emergentYS) . In 2006, I heard that it had been published in Korea. I assumed it was the work of the publisher, Zondervan/Youth Specialties and their international connections. This week a different story emerged, one that was much more local, involving a theological discerning scholar and a culturally creative publisher. Suk Whan Sung encountered my book at a Willowcreek conference. He was impressed by the theology, in contrast to many books about the missional church, which he felt were simply sociology. 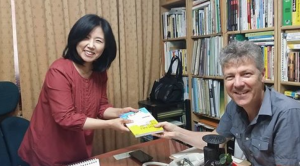 Suk Whan contacted a local Korean publisher. Not once but repeatedly. I was unknown. But Suk Whan was persistent. And the publisher was a bit special. They had a commitment to publishing not in the area of Christian inspiration but in serious engagement with culture. They have a commitment to craft: the recent books they showed me were clear, fresh and appealing. 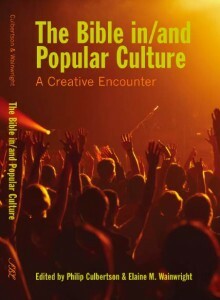 They wanted to bless culture and thus have published books not only in theology, but in general areas of culture. They publish books based not for the name of the author and how well known they are, but on content. And so my book was published. Not by an American company expanding their market, but by a local scholar concerned about his people and a local publisher with courage and commitment to a craft. 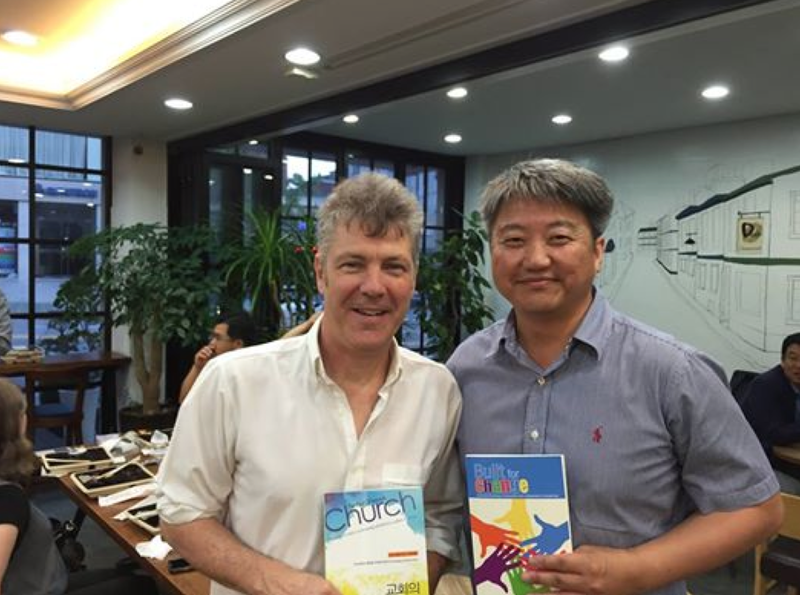 And this week I got to meet not only translators and publishers, but also readers. I spoke at the Missional church network on Sunday evening, I spoke to the local Presbytery executive, I met a church planter who has planted two communities of faith, inspired by the title. 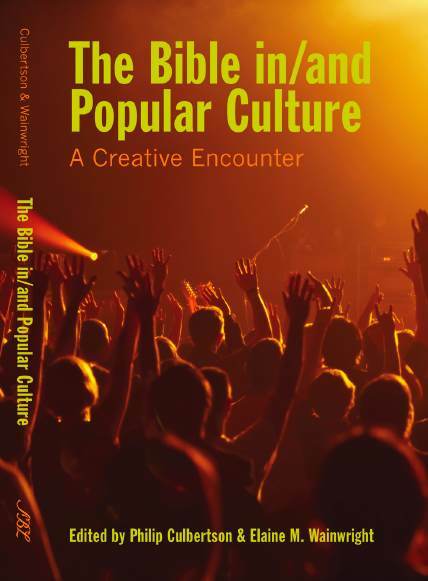 The feedback: the creativity of the book gives permisssion for others to dream; the theologically thinking provides important frameworks; the cultural engagement of the book provokes. Innovation is what Steve’s book is all about. Innovation, collaboration and leadership! 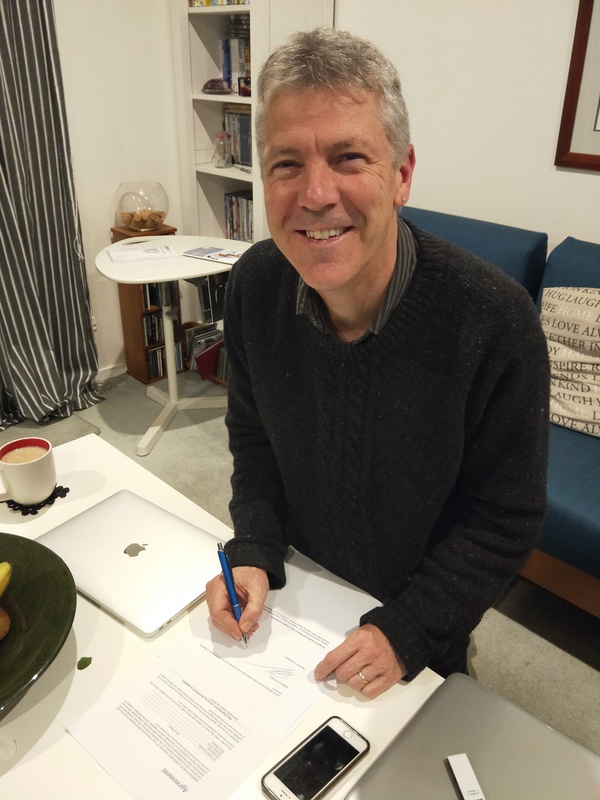 The sub-title of the book is ‘…a practical theology of innovation and collaboration in leadership’ and it is very much born out of Steve’s own work and ministry in this area. Even the book itself is somewhat innovative in the way it is set out, beginning with the ‘final chords’ of an outro and concluding with an intro. Within the metaphor of music Steve takes the reader on a journey that he himself has travelled, into the experiences, observations and reflections of collaborative innovation in the context of leadership. The three parts of his book (between the ‘Outro’ and the ‘Intro’) are (i) Leading Outward; (ii) Leading Deeply; and (iii) Leading Inward. Each part offers differing ways of looking into innovation, collaboration and leadership. Steve offers a biblical framework from 1 Corinthians 3 and 4 looking at six roles and actions – Servant (Listens); Gardener (Plants); Builder (Structures); Managers (Resource); Fools (Risk); and Parents (Guide). He tells the story of experiences on the ground of innovation, collaboration and leadership – both observed as well as engaged. He opens up a theology of connection where leadership theory can converse with theology. And he reflects on tradition as it provides the historical context and cultural values of innovation, collaboration and leadership within institutions and communities. The final section looks at the leader personally, and again from practice and principles, Steve offers wisdom and encouragement for anyone on this journey themselves. I found this an incredibly helpful book in that it captures wonderings and provides ways to both reflect on and engage my own sense of call to these areas. It is easy to read, in that it is accessible in its form and language, but it is substantial because, for me, it has generated so much more wondering and visioning for what is ahead for me and the church that I call home. I certainly would recommend “Built for Change” to anyone who is wondering or seeking to practice ‘fresh words and deeds’ in this time when innovation, collaboration and leadership have much to offer our church and wider community. 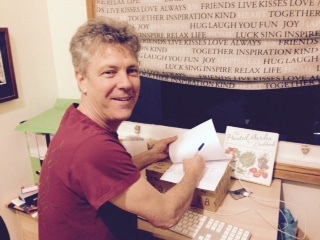 Thanks Steve for taking the time to put all of this into a book for others to glean. “Built for Change” is available in Australia through MediaCom Education Inc. or New Zealand through Angelwingsresources@gmail.com. Review 1 here. Review 2 here. It will be a book about innovation. There are many books of theory about innovation and many books from overseas about leadership. (Hence I deliberately sought out a local ie Australasian publisher). I want to write a book that emerges from a context of reality, from a real life situation of change. (Mainly the last three years as Principal of Uniting College). I want to provide some practical stories of change and then consider them, first with the wisdom of hindsight, second with the theological probing that is the gift of the Christian tradition. I hope the book offers an understanding of change that is both practical and possible, in ways that celebrate collaboration, enhance equality and make access possible. Originally published in Uniting Church Studies, 20(2) pp. 69-71.
Review Yarta Wandatha, Denise Champion with Rosemary Dewerse, Adelaide: Denise Champion 2014. Yarta Wandatha by Denise Champion is a rich addition to the doing of theology in Australia. As such, it should be compulsory reading for all Australian Christians and a set text for all Christology classes taught in Australia. The title is derived from Champion’s mother tongue, Adnyamathanha, the language of her people from the Flinders Ranges, in South Australia. It means “the land is speaking, the people are speaking.” As a title, it provides a concise summary of the theological method that integrates book. Second, in using language, it suggests a theology of the heart, a following of God integrated with language and culture, working from place and people. The book has ten chapters, two introductions, one song (a contemporisation of the Magnificat) and one prayer (Lords Prayer). It is sixty-six pages, attractively presented with colour photographs of the landscape around the Flinders Ranges, the land from which this theology is speaking. While landscape photographs are not standard in academic texts, they are essential to this book, congruent with the theological method being articulated. Each chapter (except the brief chapter provided by Rosemary Dewerse) is centred around a story. These include Awi-irtanha (The Rain Bird), Yurndu Akanandha (The Creation of the First Day) and Wida Ardupa (The Gum Tree Couple). These stories, located in land, become essential to the theology being advanced. Despite the variety of stories, a coherent and considered theology is evident. This is summarised in the phrase ngakarra nguniangkulu, God is revealing so that we can see (28). It is a theology that assumes revelation and respectfully seeks to listen to revelation. It suggests that theology is action, of seeing, in order to act in response to what is seen. One way to explore the theological methodology of Yarta Wandatha is through the lens of the Wesleyan Quadrilateral. Experience is a key theme. It is evident, first in Champion’s self-location in relation to land, second in her integration with a history of decolonisation. This is a theological method that thus begins with lament, with yulupunha vadiangkapala, the deep sadness that results from a long time of suffering. With regard to Scripture, Yarta Wandatha starts with the Magnificat (6-7) and ends with the Lord’s Prayer (62-3). There is repeated engagement chapter by chapter with Biblical stories and themes. Reason is evident, most clearly in the use of story. Champion utilises a tri-partite hermeneutic by which to interpret story (29). Stories teach rules for living, instruct has about the environment and provide insight into the spiritual world. Champion applies these three themes consistently (reason-ably) throughout the book as a way to interpret story. Tradition is present, although in ways perhaps not immediately evident to a Western reader. 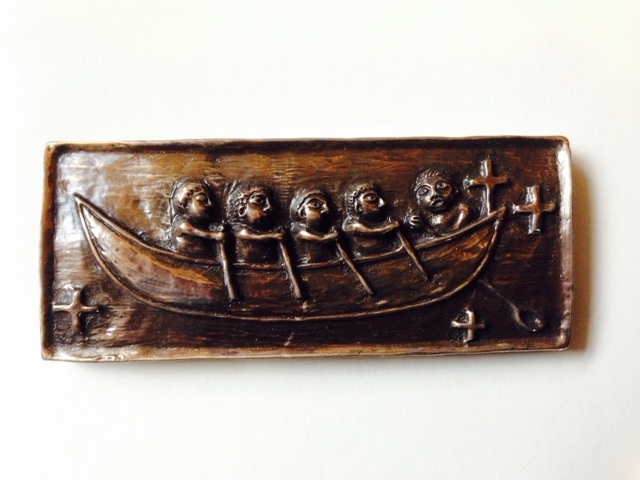 Denise tells the story of how her father drew on memory as part of his learning (28). She tells of hearing her mother ask Wanangha nai, (Where are you going?) to which her father would reply Anhangha idla ngukanandhakai (I’m going back to this place). As a result, learning from tradition, in the form of memories linked to places, occurs. Land and people are speaking, past to present, as people practise living in their memories. It is an innovative approach to notions of tradition. It suggests a way by which indigenous theologies can engage with other indigenous theologies. In making this argument, it is important to note that all theologies, whether Western, liberationist or indigenous, are contextual, emerging from a particular time and place. However, Duncan Forrester (Globalisation and Difference: Practical Theology in a World Context ) challenges all theologies with the reminder that while “locating us firmly in space and time, bodies also take us beyond mere flesh and blood to confront and reveal deeper threads.” In other words, every move toward particularity – Western, liberationist or indigenous – comes with the invitation to connect universally. Reading Yarta Wandatha, I wondered if a way to approach any tradition could be Anhangha idla ngukanandhakai (28). In other words, could acts of “living in the memories”, of going back to the particular places from which the traditions speaks, be applied not only by Denise’s father to access the wisdom of his elders, but by anyone reading Augustine or Aquinas? Theological reflection on tradition would thus become a “living in the memories”, contextually located, place based, a learning from stories from other places and all spaces. Such an approach could allow the memories from other traditions to be woven into indigenous theological work, whether Western, liberationist or indigenous. Together, Champion’s use of reason and tradition allow her to work fluently between past, present and future, between theory and ethics. To be a person “living in the memories” is also be a person considering how to live and act into the future. This is most clearly seen in the story of Awi-irtanha, the Rain Bird (40-42). Champion uses the story to critique how indigenous cultures from the past are presented today and to consider how she might live in conflict situations into the future. Yarta Wandatha emerged in a partnership, as Uniting College Director of Missiology, Rosemary Dewerse, built a relationship with Aunty Denise Champion. In time, Dewerse made the offer, to serve Champion by hearing her oral stories and in partnership arranging them in ways that were true to her indigenous voice. The location of copyright, not with a known academic publisher, but with Denise Champion, is deliberate, in the hope that all proceeds from sales might be returned to indigenous people, not to publishing companies. This partnership raises some provocative questions regarding the role of scholars and the place of scholarship in the Uniting Church today. Paragraph 11 of the Basis of Union acknowledges that God gives to the church “faithful and scholarly interpreters of Scripture.” A consequence of current relationships between the theological colleges of the Uniting Church and various Universities is the pressure for scholars to write in academic journals and “world-class” (read Western) publishing presses. Applying these standards, the “faithful and scholarly” role undertaken by Dewerse in Yarta Wandatha will not gain her any credit from the contemporary academic world. At the same time, the Revised Preamble commits the Uniting Church to partnership with first peoples. The mutual authoring and assigning of copyright in Yarta Wandatha is surely an embodiment of the Revised Preamble. Returning to Paragraph 11 of the Basis of Union, it is a work of scholarship that has indeed resulted in “fresh words and deeds.” The tension between being scholars faithful to church or academy is brought into stark relief by Yarta Wandatha. In summary, while some might be tempted by a first glance at the length of, and the pictures in, Yarta Wandatha, to dismiss it as less than theological, a closer look, using Wesley’s Quadrilateral, reveals a unique, coherent and potentially transformative approach to theology: one that is ethically and eschatologically mature. This is most particularly evident in the application of reason and the framing of tradition as the stories of “yarta wandatatha,” a living in the memories. If this is one of the first fruits of the Revised Preamble, then the church in Australia is entering a rich and blessed season of theological scholarship. Book review: Done for Regents Review 6.2 (April 2015), Regent’s Park College, Oxford publication. The Faith Lives of Women and Girls: Qualitative Research Perspectives , ed. Nichola Slee, Fran Porter, Anne Phillips. Farnham, Surrey: Ashgate, 2013. One way (for a male) to review a book on women by women is through a lens provided by a third woman. Drusilla Modjeska, in her study of the writings of Australian women describes the “enormous energy” required by women writers to maintain themselves intellectually and artistically (Exiles at home : Australian women writers 1925-1945 / Drusilla Modjeska , 15). She documents the essential role of one person, Nettie Palmer, in nourishing women writers and how her work as an editor created a supportive network in which women writers flourished. It is a helpful frame by which to approach The Faith Lives of Women and Girls, edited by Nichola Slee, Fran Porter and Anne Phillips. Such an approach offers historical insight and encourages a respectful gratitude for their essential and nourishing role as editors and initiators of a supportive network in which research on female faith might flourish. The Faith Lives of Women and Girls is part of Ashgate’s Explorations in Practical, Pastoral and Empirical Theology series. It consists of 19 chapters, all written by woman, all emerging from practical theology. Each chapter offers original qualitative research on the faith lives of women and girls, drawing on a range of approaches, including ethnography, oral history, action research, interview and case studies. This alone makes the volume worthwhile. Reading as a minister, I found myself reflecting on my pastoral and ministerial practice. Anne Phillips chapter (God Talk/Girl Talk) offered new preaching resources, while Kim Wasey’s chapter (Being in Communion) challenged my hopes regarding the impact of women presiding at the Eucharist. The book raised what seems a perennial question in practical theology, concerning the relationship between sociology and theology. Some chapters felt more sociological and descriptive than theological. Other chapters, like Fran Porter’s work on Irish women’s understanding of God (“The ‘In-the-middle’ God: Women, Conflict and Power in Northern Ireland) offer rich theological insights (including for my Easter preaching at a youth camp). The quality of research and reflection did vary across the volume. This is perhaps inevitable in a volume that includes both experienced researchers and post-graduate students. Studies of between six to ten women, as in Jennifer Hurd’s chapter on understandings of death (“The Relevance of a Theology of Natality for a Theology of Death and Dying and Pastoral Care) or Francesca Rhys’s unpacking of ordinary Christologies (Understanding Jesus Christ), raise questions about the place of sampling and representation in qualitative research. The Faith Lives of Women and Girls lacked an overarching theme. The introduction suggested a distinct discipline. However the absence of a concluding chapter that synthesised a theme (or themes) raised questions concerning what makes feminist practical theology a distinct discipline. Is it anything that studies women? Is it, given that all 19 contributors are women, something done only by women? Or is it that 19 fine grained studies might, with the ongoing encouragement of contemporary Nettie Palmers, be the grit around which a pearl of great price, research resulting from the lived experience of women and girls, begins to develop? I suggest the latter and look forward to reading further work from those who contributed to this important and ground breaking volume. For application to fresh expressions see here. Ecclesial Identities in a Multi-Faith Context: Jesus Truth-Gatherings (Yeshu Satsangs) among Hindus and Sikhs in Northwest India , by Darren Duerksen, is a fascinating book. Part of the American Society of Missiology Monograph Series, it offers research into the church in a mission context. The focus is Yeshu Satsangs (Jesus truth gatherings) amongst Hindus and Sikhs in Northwest India. These are “insider” movements. They critique the forms of the inherited Christian church and want to experiment with new forms of church. Sound familiar? Three religious forces have shaped their emergence. First, foreign mission. A glance into history shows that in response to early Christian work, Hinduism was revitalised. It engaged in reform which strengthened its (Hindu) life and witness. We now turn to the emergence of Yeshu Satsangs. This is where it gets interesting missiologically. In light of this history, and in trying to understand their faith in their cultural context, these Yeshu Satsangs have emerged as mission experiments. Duerksen conducted interviews with 8 leaders and 50 followers (satsangis) and argued for a a number of distinct practices. The result is a church that has a distinct set of identities. These include a bhakti-influenced devotion to Jesus, the experience of God’s blessing and power, a careful discerning of evil and a distinct Christian witness. Finally, Duerksen reads the book of Acts in light of the research. Acts is chosen because it is the story of the church’s emergence. Duerksen explores how Jewish Christian’s understood their identity, how they remained rooted in many of their Jewish practices as they sought to follow Christ. He argues that this approach, rooted in tradition and culture, offers a helpful way to understand the Yeshu Satsangs. It is rich and fascinating missiology. It deserves to be placed alongside the literature for emerging church and fresh expressions, in a mutual search for missional wisdom. The U2 innocence and experience tour began last weekend in Vancouver. It included Bullet the Blue Sky, a song which had disappeared from the U2 360 tour. This is fascinating given I have previously written about how Bullet the Blue Sky as a song has evolved over time. In “Bullet the Blue Sky” as an Evolving performance (in Exploring U2: Is This Rock ‘n’ Roll? : Essays on the Music, Work, and Influence of U2 ) I focus on a number of evolutions. “See the Sky ripped open” describes the origin of the song, back in 1986. Bono asks the Edge to put the conflict in Nicaragua and El Salvador through his amplifier. They stuck pictures around the studio and the song emerged, as a contemporary psalm of lament. “And I can see those fighter planes appears” on the Elevation tour, in Dublin, in 2001. It evolves from a psalm of lament to a moment of confession. A spotlight shines upward, searching for fighter planes, then focuses on both the crowd and Bono. Graphics note the worlds five biggest arms traders – USA, UK, France, China, Russia – which are then linked to the IRA and the British army. What was a song focused on American influence in Central America is now focused on all countries that traffic in bullets that rip on the skies of Ireland. “Outside it’s America,” occurs in Chicago in 2005. A number of song samples (Jonny Comes Marching Home, Gangs of New York) are used. Bono adopts a number of theatrical postures, that reference prisoners blindfolded in the Iraqi war, while a fighter jet is projected behind him. This is followed by a prayer “for all the brave men and women of the United States.” It feels like a prayer of intercession, in which the impact of the war in Iraq is considered. The self can lament at the external world at Paris; the self can confess at Slane Castle and the self can both confess and petition in Chicago. U2′s use of sampling crafts an experience that allows introspection with regard to how one should act in the relation to the wider world.” (Exploring U2: Is This Rock ‘n’ Roll? 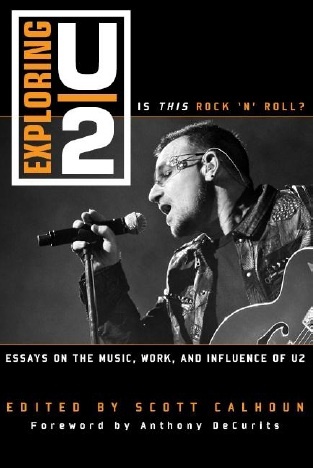 : Essays on the Music, Work, and Influence of U2 , 94). The reappearance of Bullet in the new U2 Innocence and experience tour is thus yet another, quite distinctive, evolution. The lyrics undergo a dramatic change, with new verses written to reference not the conflict in Central America but talks in Davos and the use of cell phones. There is a song sample, which needs further discussion. What is most intriguing is what seems to be an interplay during the performance of Bullet between young Bono (19) and Bono (now). He seems to be “patting himself” down. The adolescent is engaging with the rock star, including the rock star so mocked for his social justice activism (including going to Davos). This adds another whole dimension of “a viewing of the self.” It is a contemplating of the self in the external world, when young, and now middle-aged. This is perhaps what is at the heart of the innocence and experience tour, a self looking back. This introspection can allow a contemplation of what has become. Whether this is lament, confession or intercession depends on the actions of the self. Importantly, having reflected, having “patted oneself down”, one is now freed to consider not only what one has become, but what one is becoming.